I would also love the pattern. It’s Beautiful. Thank you! I hope it all goes well at the hospital. Daughters are so precious. I will hunt for it on my laptop and let you know. Meanwhile, you could message me on my page and I will forward you the PDF file if I can trace it. Your miniature pineapple quilt is beautiful. I’d love to try and make one. Could you please let me know where you found the pattern and instructions? Thanks! Hello Just wondering if this pattern is still available? This is beautiful!! 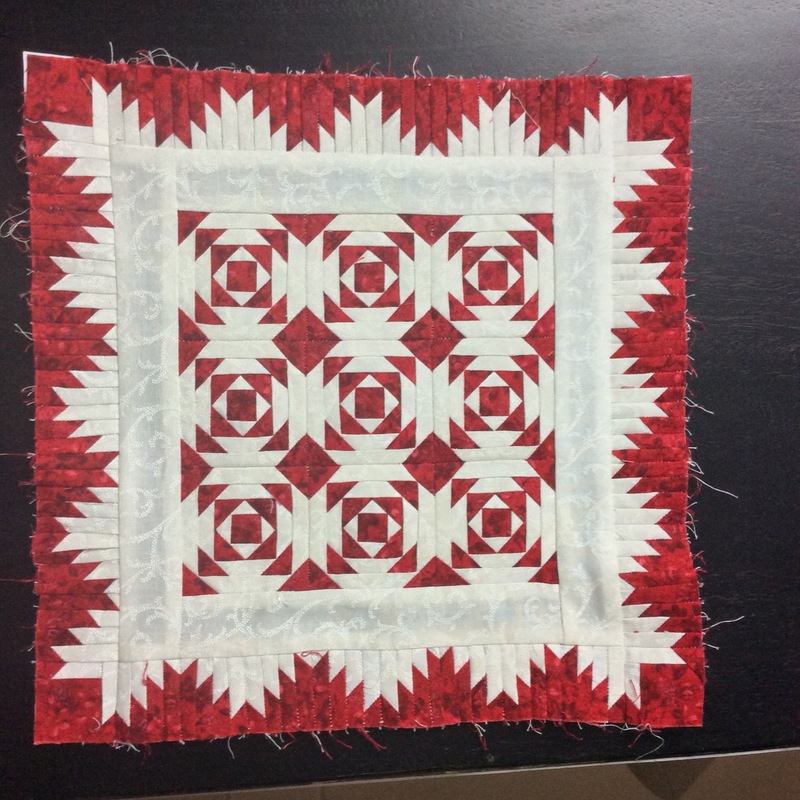 Am I crazy to think I want to attempt this …….dint understand the hullabaloo around paper piecing till I tried my first block…..I’m in love now. Would tying it instead of quilting it kill the look? Also you’d be sparing your fingers some trauma if you did that. Hahaha…do mail me…if I think that size is too much for me…I’ll probably increase the size…looks super with the binding and the quilting…just saw the picture. Previous Previous post: Who is Afraid of Salinda Rupp?